Boaters are invited to celebrate Easter weekend at Avalon and Two Harbors, as both sides of the island plan to host fun events for the whole family. Two Harbors will hold its annual Easter Egg Hunt starting at 8 a.m. March 31. Kids will search for the elusive “Golden Egg.” Sponsored by Corsair Yacht Club for more than 50 years, the hunt is designed to get everyone off the boat to search for eggs. Visitors to Two Harbors can also take part in the annual hat-decorating event at 10 a.m. March 30. 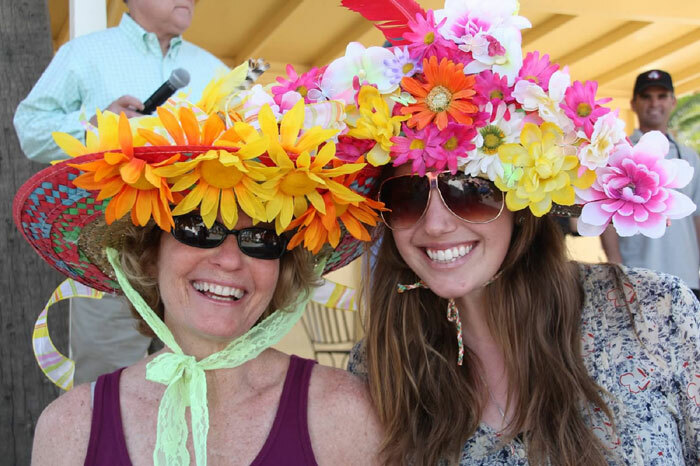 Participants can adorn their hats with festival ribbons, bows and flowers. Later that afternoon at 3:30, everyone will model their works of art at the Hat Parade. Boaters can “hop over” to Avalon for a weekend jam-packed with activities, beginning with the fourth annual Catalina Art Fair and Exhibition March 29-31, hosted by the Catalina Art Association. Set on Crescent Avenue, along the waterfront, the three-day fair features local and mainland artists, crafts, entertainment and more. For more information call (310) 510-2788 or visit catalinaartassociation.org. Boaters can support the local children’s theater company “Kids at Play” during the annual Rubber Ducky Derby, starting at noon March 30 on South Beach. Ducks are $5 or “five quackers for 20 smackers” (five for $20). For more information, call (310) 510-0288. An Easter Sunrise Cruise is planned, departing at 6 a.m., aboard Afishinados Catallac. Coffee, pastries and mimosas will be available on board. Those who buy three tickets will get a fourth for free. For more information, call (310) 510-2440 or visit icatalina.com. M Restaurant by Zest will offer a buffet Easter Brunch March 31. The menu features “classic dishes with a twist,” according to the restaurant. All food items are prepared using fresh seasonal ingredients and grass-fed, natural and organic meats and fish from sustainable sources. For more information, or to make reservations, call (310) 510-8404 or visit zestcateringcatalina.com.